Thank you suceadoin! 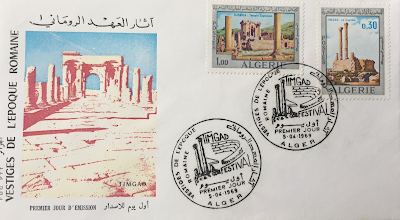 Timgad, the Roman-Berber town erected by Trajan in the 1st cent, was incorporated as a UNESCO site in 1982. 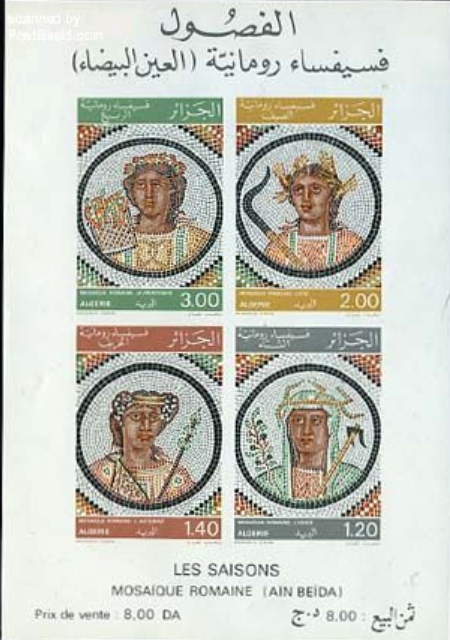 The original Roman inhabitants were veterans from the Parthian campaigns who were granted land here. 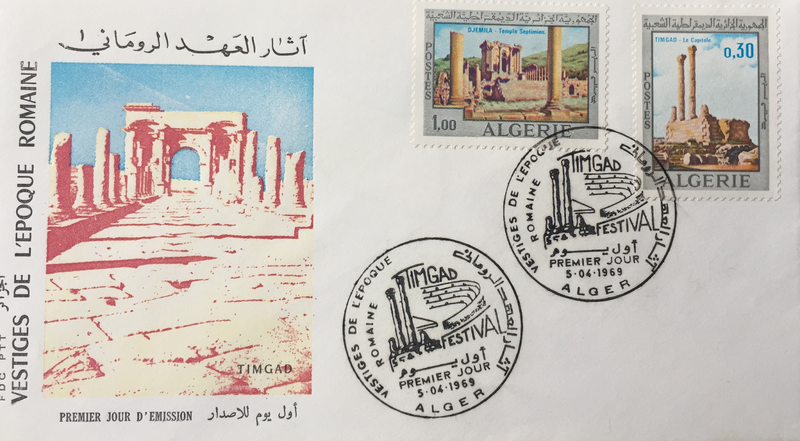 The set was issued for the Timgad Festival in 1969. Wonderful advertising campaign along the left side, to 'visit the Roman Period'! 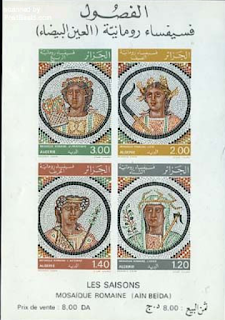 Roman mosaic issue from Timgad, also released perforated. *Not in collection, image from postbeeld.